Smart clothes: The next big fitness craze? 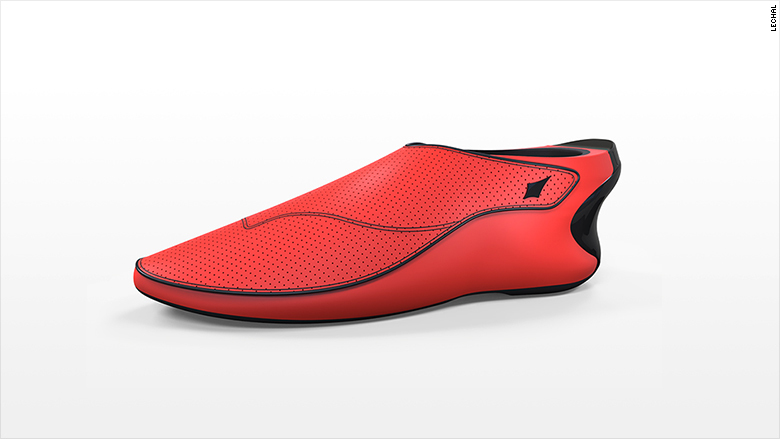 Fitness devices are moving from wristbands into clothes and shoes, like this "smart shoe" from Lechal. Staying in shape can be hard work, but a new range of smart clothing promises to give you a helping hand. Clothes or shoes fitted with fitness devices are set for explosive growth as they move from the test lab into professional athletics. Keen amateurs are sure to follow. Fitness is already a growing market for tech companies. Research firm Gartner forecast shipments of fitness-focused wearable devices will top 68 million this year, and the industry is branching out from wristbands into shoes and clothing. Smart bands, popularized by Jawbone and Fitbit, are the most used exercise trackers. Smart watches like Apple's (AAPL) new offering are expected to muscle into the market in a big way in the years ahead. But the biggest growth is expected to come from smart garments. Gartner expects shipments of these products to hit 26 million units in 2016, up from just 100,000 last year. Indian start-up Lechal is one of the companies hoping to cash in. Originally designed to help the visually impaired with navigation, its shoes and insoles vibrate to tell the wearer to turn left or right. Users can set a custom route and the footwear will buzz to keep them on course. So if you're trying to break the 4-minute mile and your pace drops, a buzz from the shoes will tell you to speed up. Lechal's fitness metrics are quite basic: they track distance, calories and steps, which are stored and downloaded to an app after exercise. The shoes start at $200 and the insoles at $150. They should be in U.S. stores later this year. 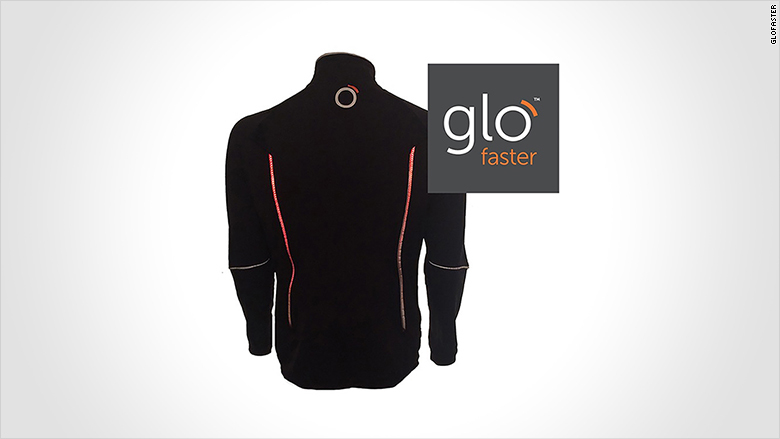 Glofaster is also trying to take fitness wear into the future. 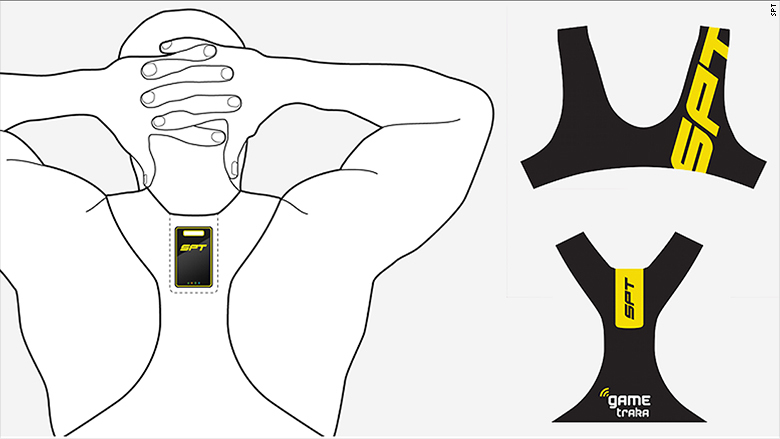 It makes a running jacket fitted with a "gizmo" that collects performance data. Users set goals like speed or heart rate level, and lights along the sleeve will flash to give feedback - like get moving! The idea is one quick glance will help you boost your workout. But the jacket is not cheap -- it costs £285 ($418) including the sensor. The hefty price tag reflects the company's conviction that weekend athletes are willing to fork out big for sophisticated fitness devices. Australian start-up Sports Performance Tracking is hoping to ride that wave too. Catering to the "sub-elite" athlete, the firm makes tracking devices that measure and compare performance of a team. Players wear a sports vest containing a GPS which picks up data like speed and distance. After the game, the computer crunches the numbers to tell you how each player stacked up. By measuring how much stress is on the body, the device can also tell users if they're risking injury by pushing it too hard. That's the "holy grail" of sports tracking devices, says SPT found Will Strange. "People are spending millions if not billions to try and find it, and no one has it right," he said. Players in the NFL, NBA and Europe's Champions League use similar products, but at 299 Australian dollars ($228) SPT's devices are much more affordable.